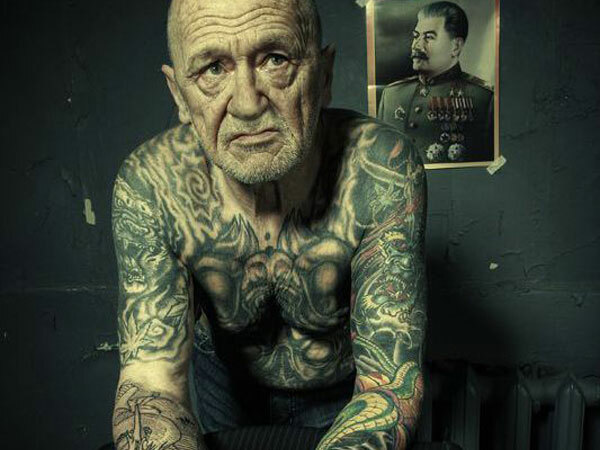 There is no age limit for tattoos and body painting. 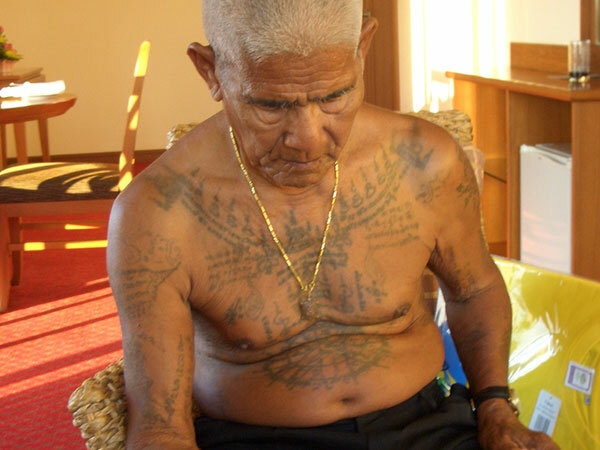 Some of these old people with tattoos could put youngsters to shame as far as boldness goes. They have experimented with different shades and designs to suit their will. 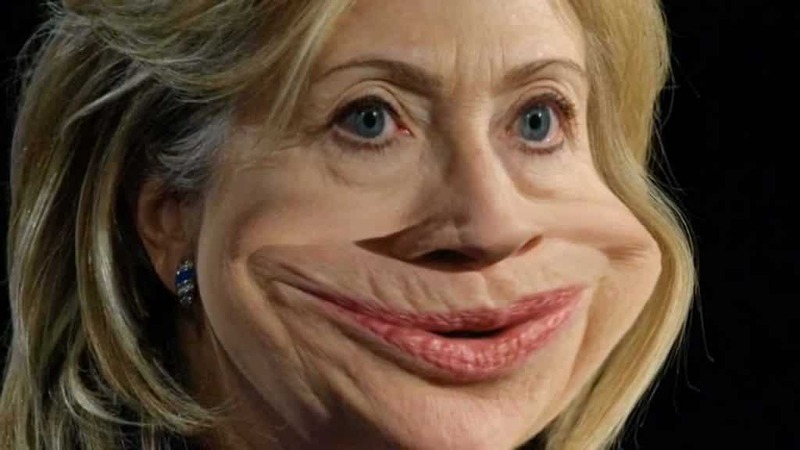 Why worry that the world thinks? 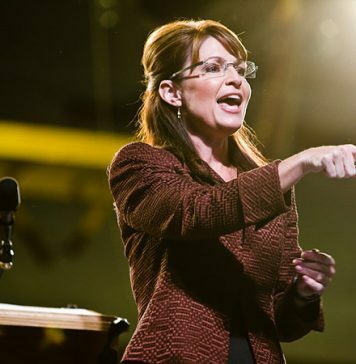 At your age you have earned the right to be bold and stylish too. These tattoos are a class apart. There are some in simple black lines and are small in size. 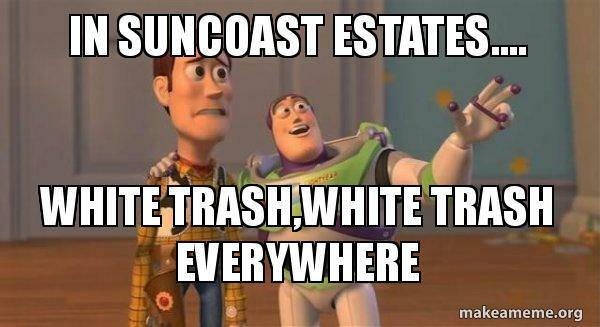 Then some of the old folk have posed showing off their vividly colored tattoos that are spread all over the body having an attention grabbing effect. 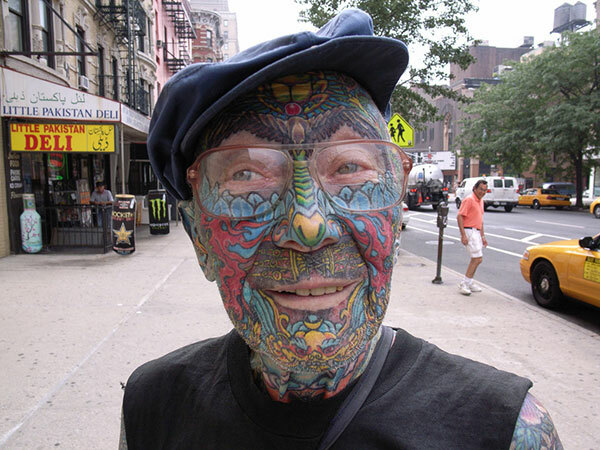 Is there a rule that old people cannot wear tattoos or cannot have their bodies painted? 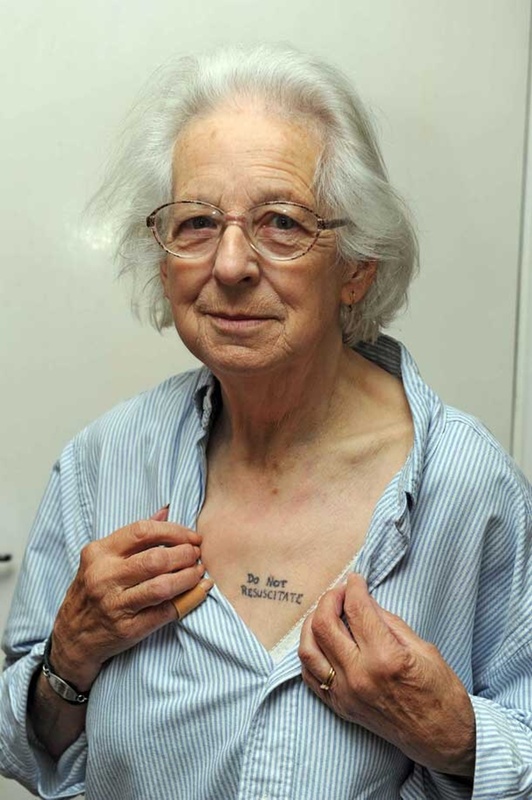 These snaps showing tattoos of old people with belie the question. 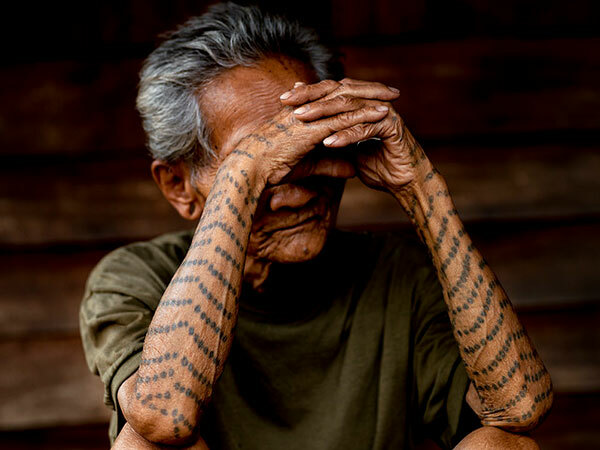 Some of the old folk have very ethnic and traditional looking tattoos created in simple lines and single color. 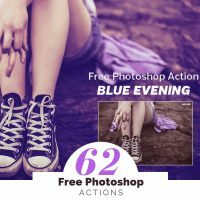 Some are very bold and trendy because they have very vibrant colors and a mix of modern themes. 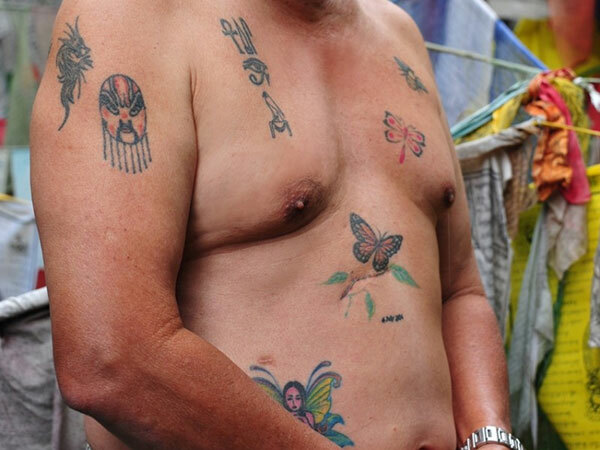 Some old men have very stylish tattoos all over their torso that are surefire attention grabbers. 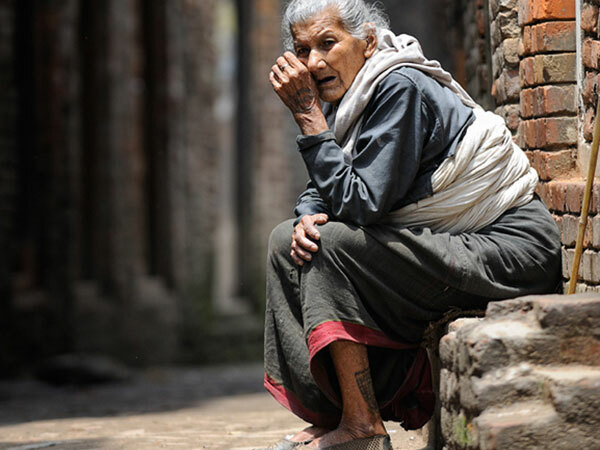 Even old women have not fallen behind. 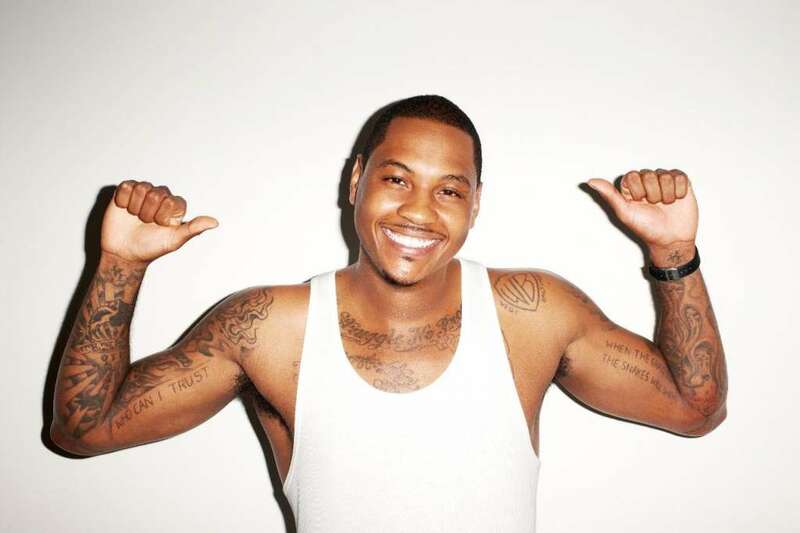 They sport traditional as well as romantic themes as tattoos and show them off proudly too. 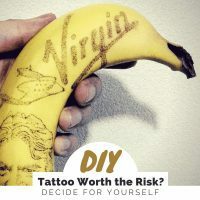 If you like this article, you might be interested in some of our other articles on Water Tattoos, Zombie Tattoos, Shark Tattoos and Leopard Print Tattoos. Letters in a very stylish font is one of the most classic and attractive looking tattoo themes like this one. 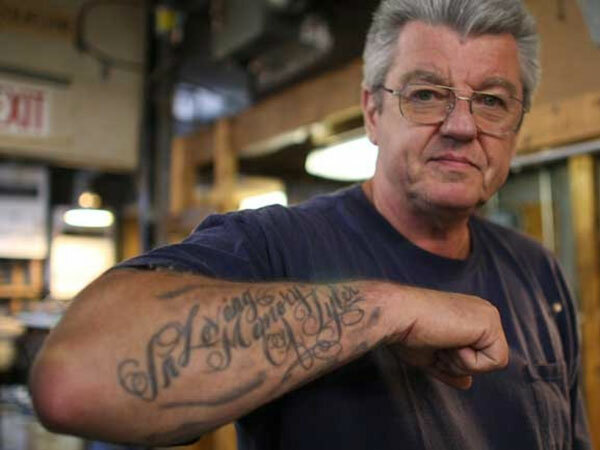 When you are not sure where to get yourself tattooed, follow this man his advice will be all over the body. This old man is obviously a fan of Julia Roberts. Her face has been tattooed all over his torso. Masks, angels, butterflies, graffiti…you name it and it is there! 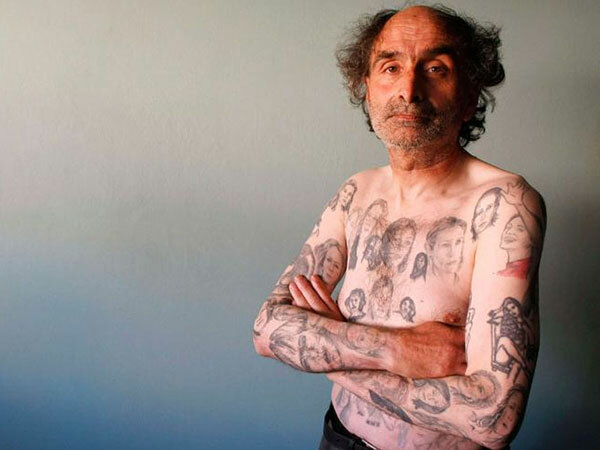 This old man wears a superb collection of tattoos. This tribal tattoo has a very ethnic look with its simple yet attractive design. 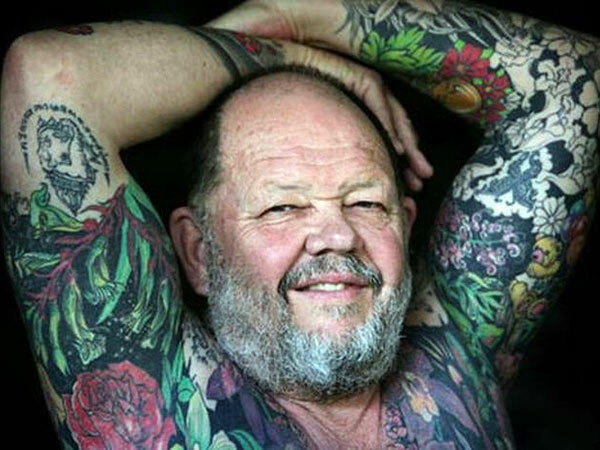 This old man is really proud of his bright and spread out tattoos going by his smug look. This alignment of dots makes very simple yet artistic arm tattoos that are worth copying. 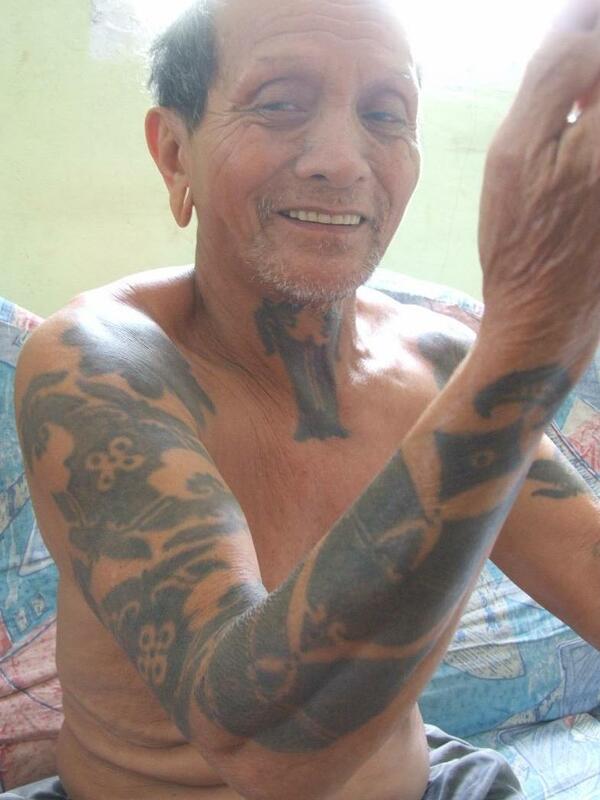 This old man has a very modern outlook on life, if you go by his trendy chest and arm tattoos. 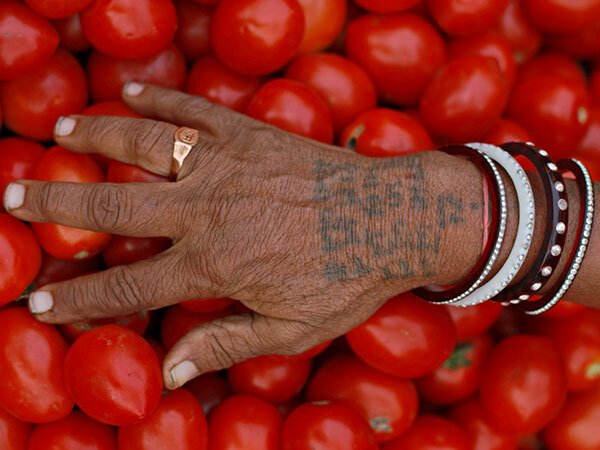 This tattoo has the traditional Indian woman showing it off shyly. Its simplicity is its beauty. 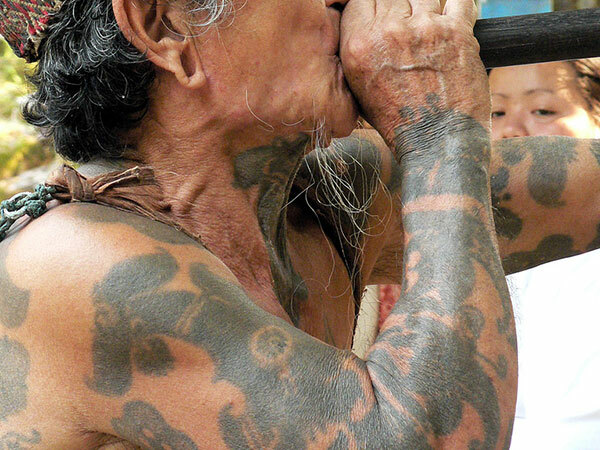 This old Thai man sports a classic design of temples and minarets as an artistic chest tattoo. 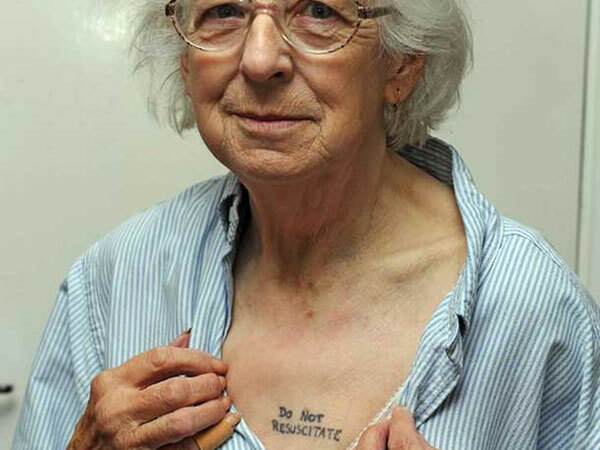 The message in this letters tattoo is loud and clear and this old woman is proud of her tattoo. 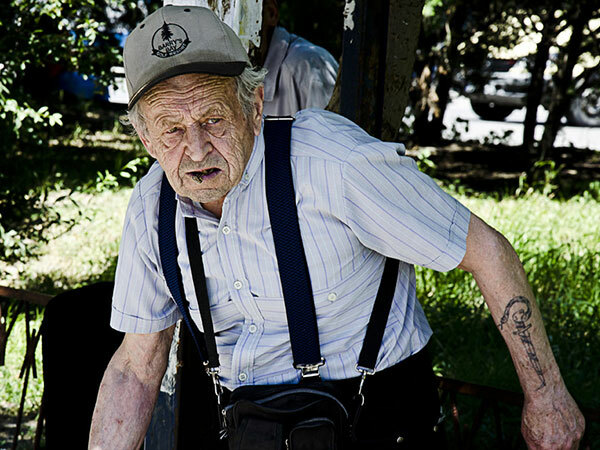 This old man‘s traditional looking tattoo is very impactful and draws attention instantly. 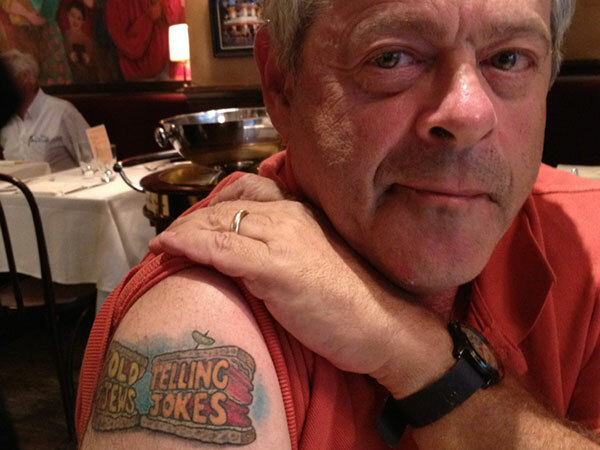 This old man shows off his bright and colorful tattoo. 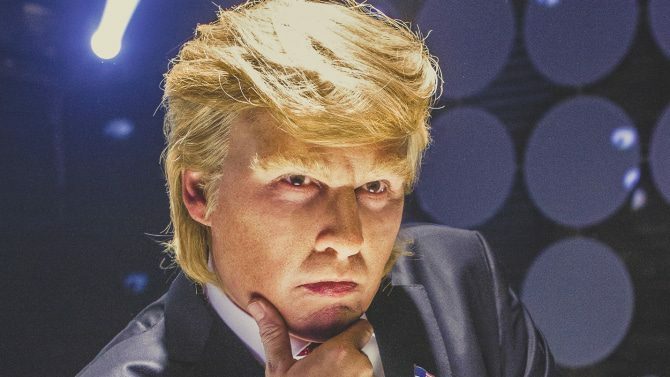 The design is comic and attention grabbing. 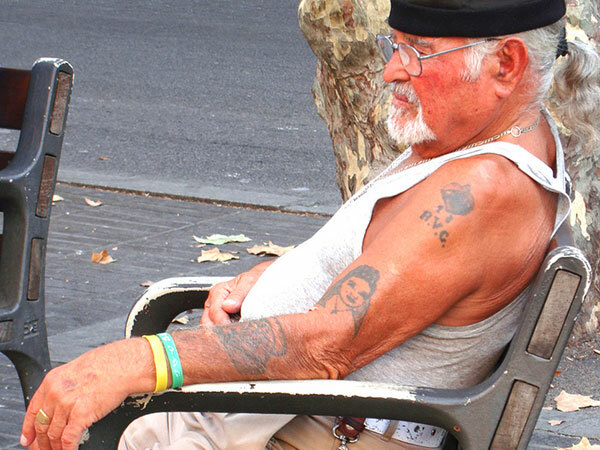 This old man is very proud of the beauty of the tattooed siren on his arm. 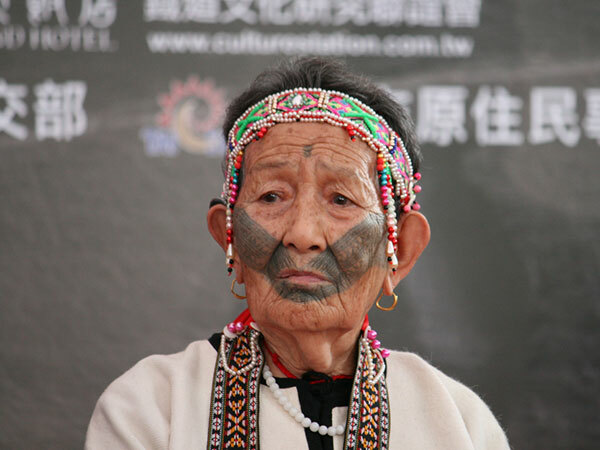 This V-shaped tattoo on the old woman‘s cheeks is very simple yet very striking and noticeable. 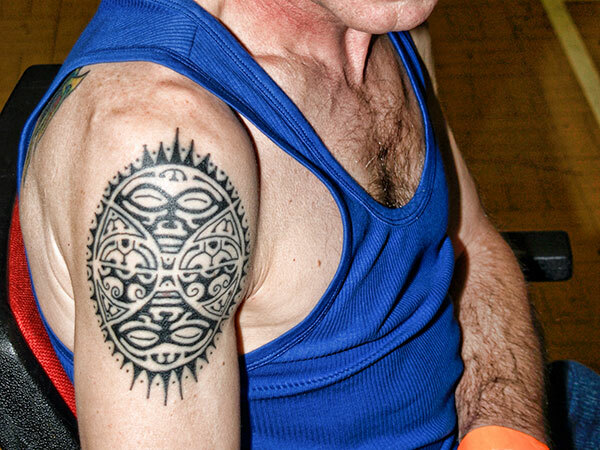 This man‘s tattoo is a real beauty. The tribal design has been tattooed in intricate and artistic lines. 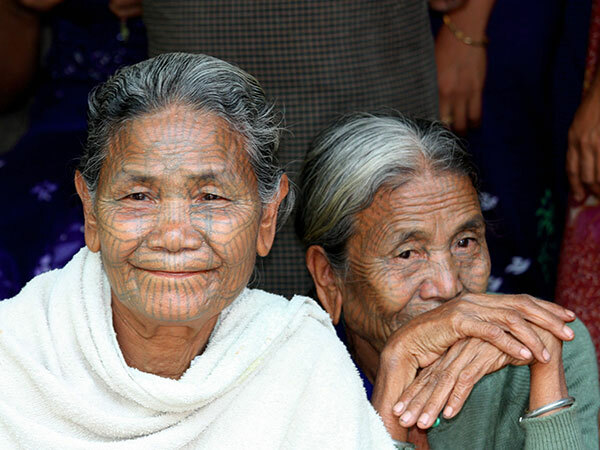 Bold lines tattooed all over the face make this a very unusual tattoo with an ethnic flavor. 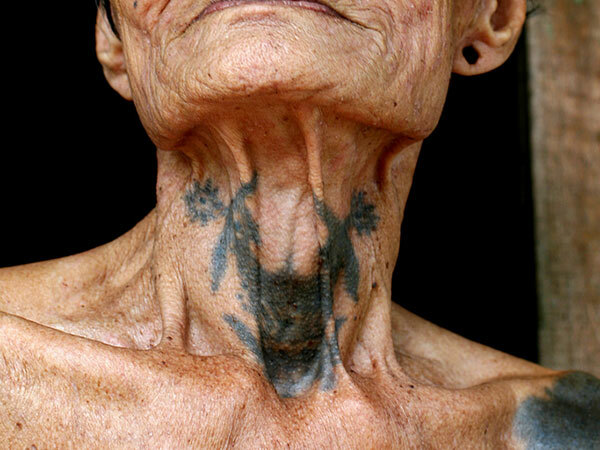 The bat like creature tattooed on this old man‘s neck looks funnily attractive despite its horror theme. 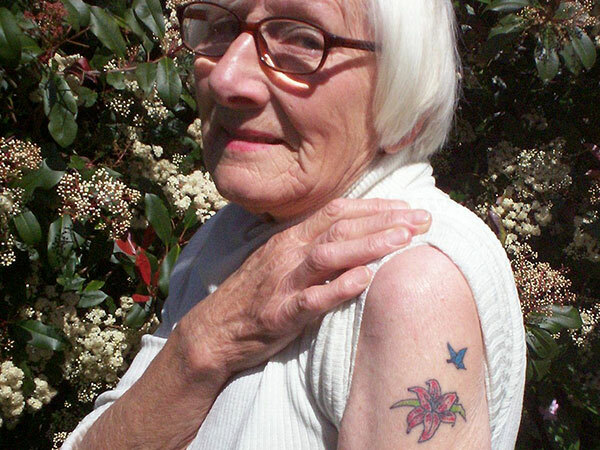 This old woman is showing off her colorful tattoo of the classic romance between the flower and butterfly. 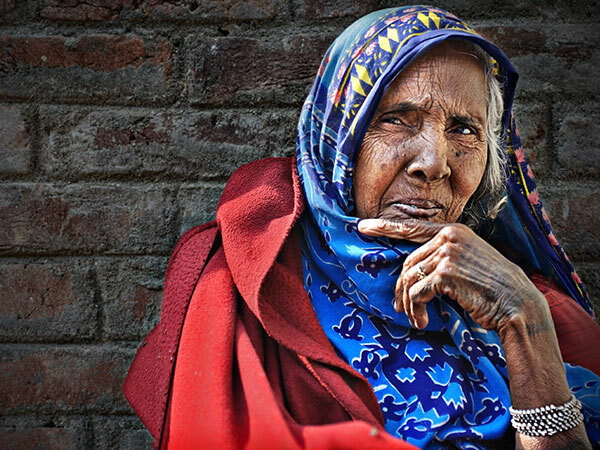 The numerous tattoos on this old woman‘s arms have a religious theme, forming lovely tattoo art. This old man has no doubts about what design he wants. His tattoo is a mix of various themes creating bold tattoos. 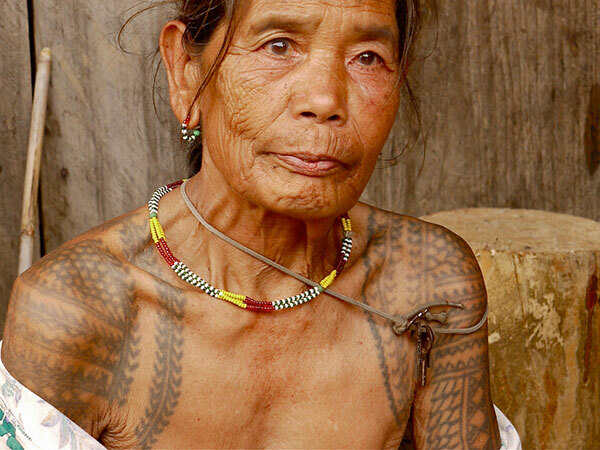 This old tribal woman shows off her lovely tattoos in geometric shapes and leafy patterns. Bold lines tattooed all over the face make this a strangely attractive tattoo despite the woman‘s age. 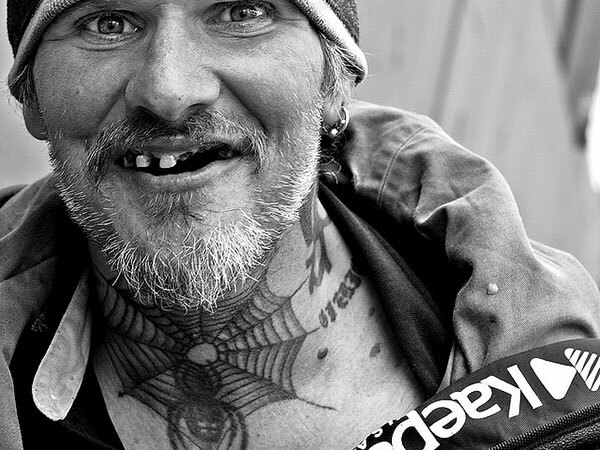 This cheerful old man has a deadly spider and web tattooed around his delicate neck. 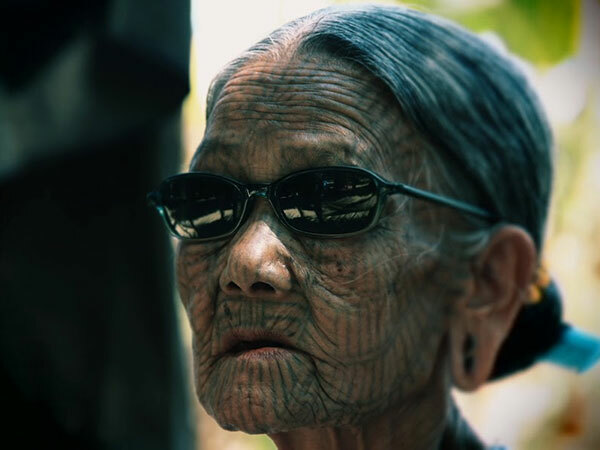 This tribal woman is sunning herself in her village while she shows off her simple tattoo. 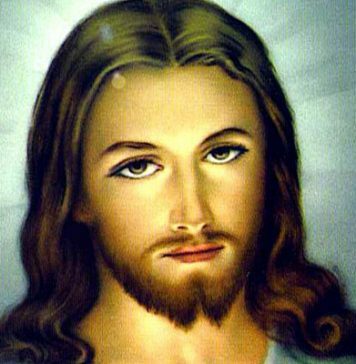 Tattoo art is the best form of taking your religious feeling along with you all the time. 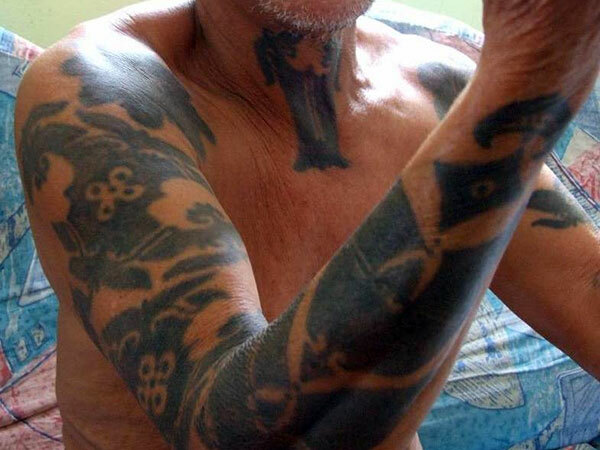 This old man has a very stylish arm tattoo designed like a sword. 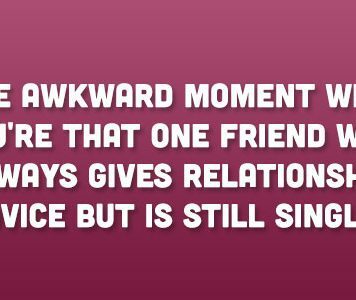 It has very artistic lines in black and gray. 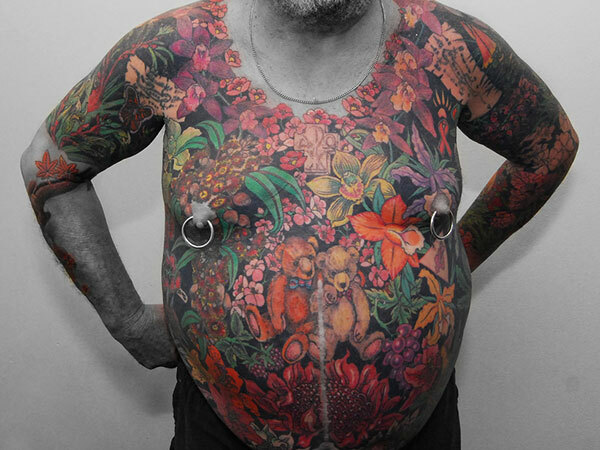 Flora and a cute teddy bear form a very colorful and bright tattoo on this old man‘s torso. 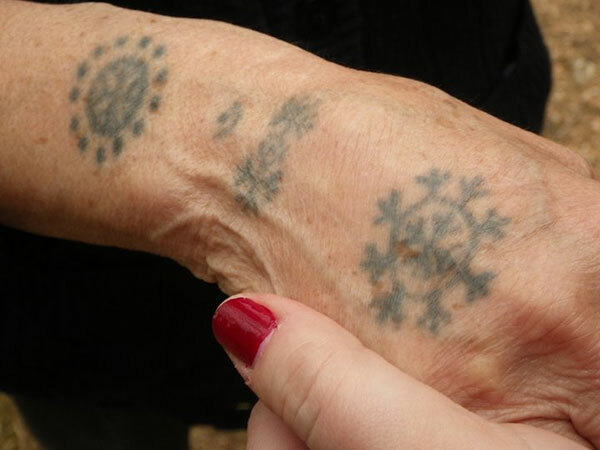 Bright colored creepers seem to be creeping around this old woman‘s arms in the form of tattoos. Bright blue and yellow shades all over the face in designed in waves and patterns look great on this old man. 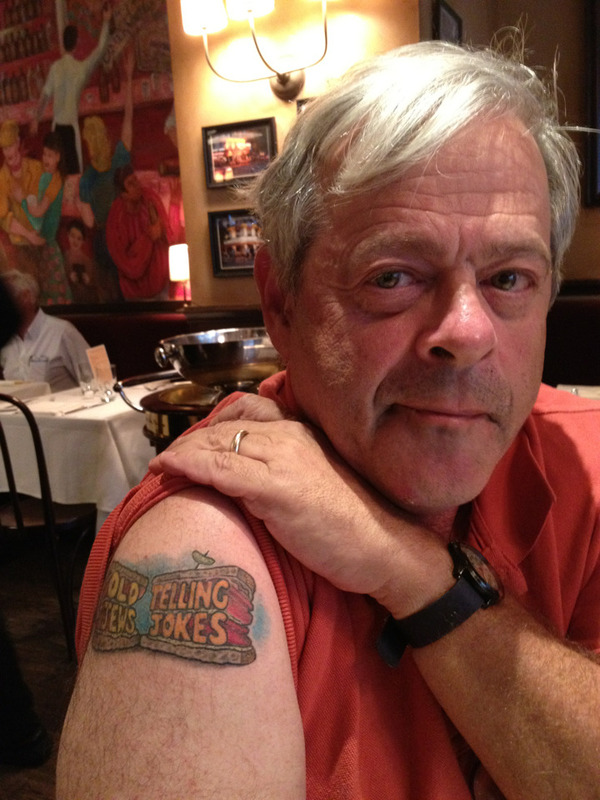 The “Old Jews Telling Jokes” tattoo is the title and logo of a current off-Broadway play. That guy probably worked on the show or is a big fan. It’s like a teenage girl getting a RENT logo. That photo seems out of place with the rest of these, especially since the caption seems to credit him with the “unique” design. OJTJ was actually a web series and then a book, both several years before the off-Broadway play inspired by them. I know a lot of Tribes here in our place with a lot of tattoos with very unique designs not the usual ones. 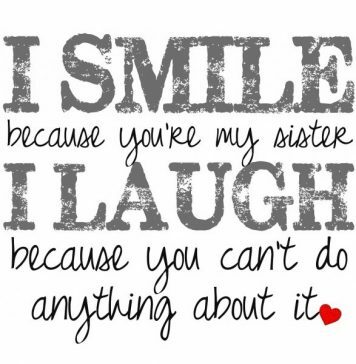 And I like it! 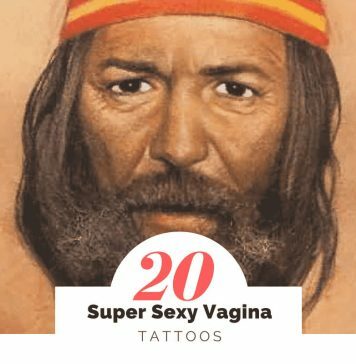 An interesting collection of old designs, interesting choices to have as tattoos. Well I think it is completely right that tattoos are for all ages, and of course some people may have them when they are younger and still have them now theare older. I’m a huge fan of tattoos and tattoo art. 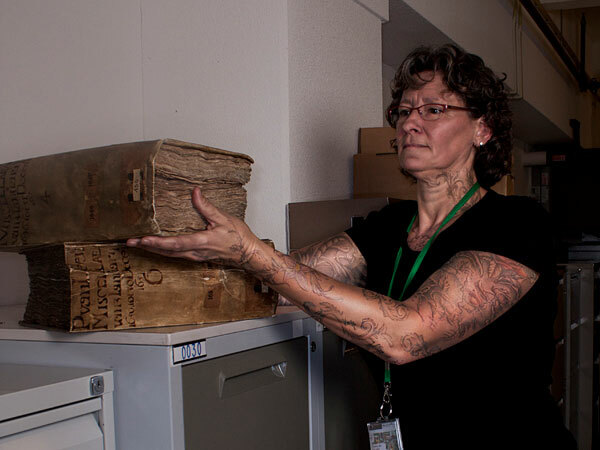 Although some of these pictures were interesting, I was surprised to see so many pictures depicting gang and prison tats without explanations of what they are, or what they mean. Two examples, spider web on the neck, each line of the web represents a year spent in prison. 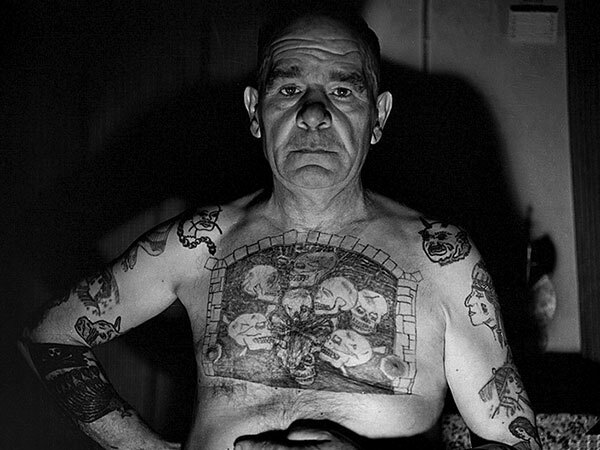 The man with the picture of Stalin behind him, his tattoos are almost entirely traditional Russian gang tats. 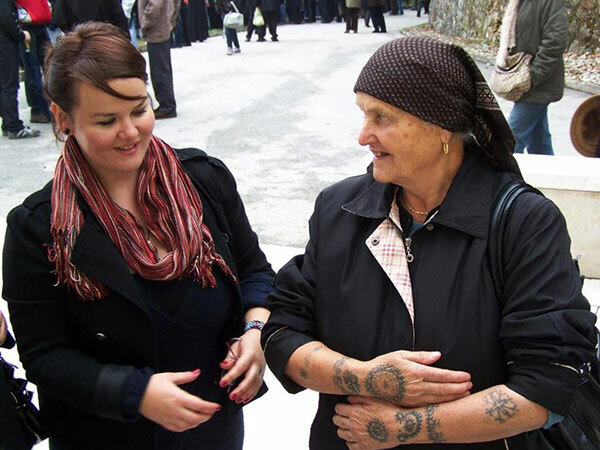 There were others, like the Russian woman with the ‘religious’ tattoos. Russian gangs and organized crime have, for a very long time, used religious symbols in many, if not most, of their tattoos.